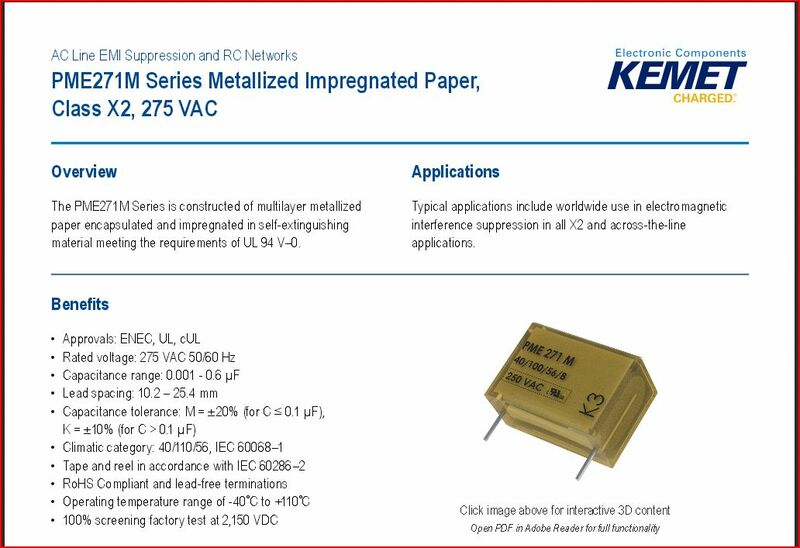 The internals, check out the picture provided by Keysight – there is a modified 8481a power head (using the same FET chopper assembly), a range switch using high quality 140 series Micro-Ohm non-inductive wire-wound resistors (0.1%, +-10 ppm temperature coefficient). Note that the schematic shows the H01 option – which allows an external DC connection, from a calibrated DC source. This is much preferred over the build-in power supply and resistive divider (which has known issues at low output voltages). 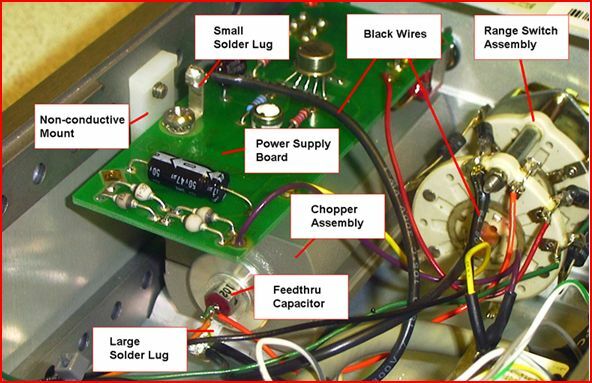 The design of the 11683a also has some ground loop issues, better to just leave it disconnected from mains, and supply the DC voltage from a known-good source. 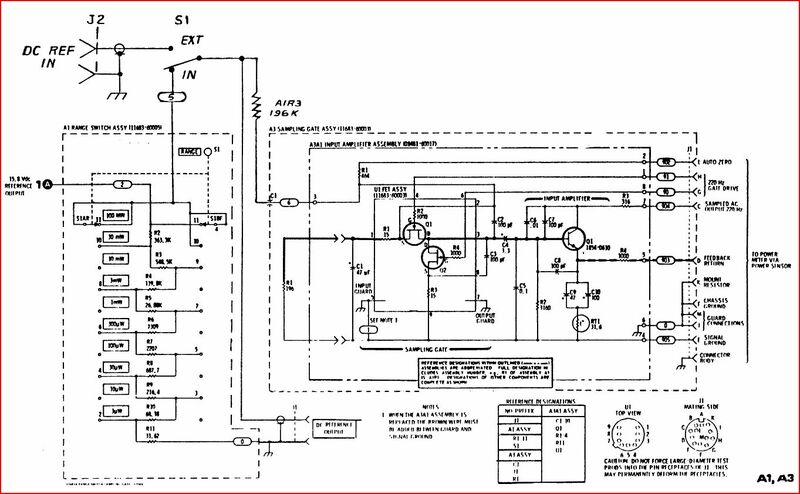 These issues are known to the experts of the field, see, e.g., this comment from the Keysight EPM-P power meter manual. 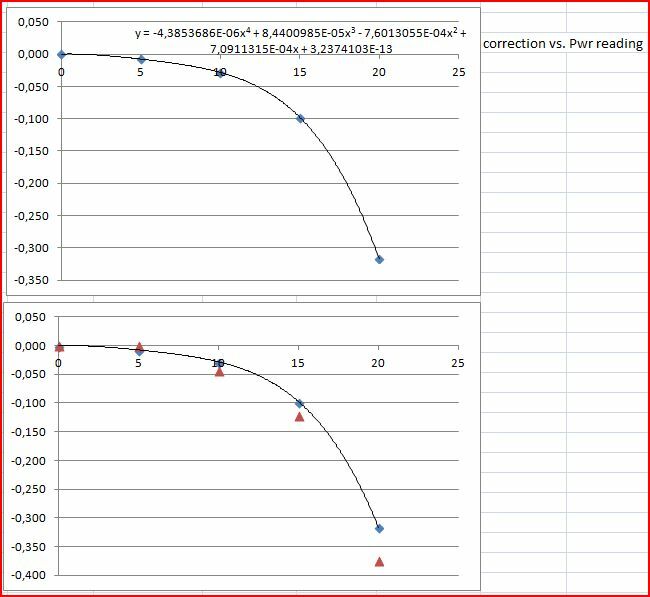 Now, a very complicated issues with the range calibrator – it’s output isn’t strictly linear over the dB range, because the power meters have a shaping circuit, to compensate for the somewhat high output of the 8481A and similar sensors, above about 5 dBm of input power. Accordingly, the sensitivity is reduced for this range. Furthermore, the 11683a has ranges labelled in mW, e.g., 3 mW, but the output actually is calibrated in 5 dB steps…. 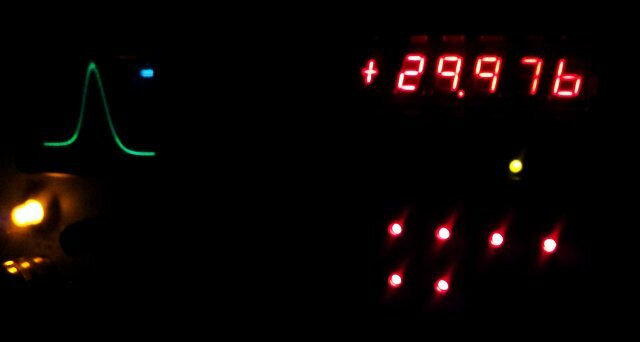 so the output power is more like 3.16 mW, etc. 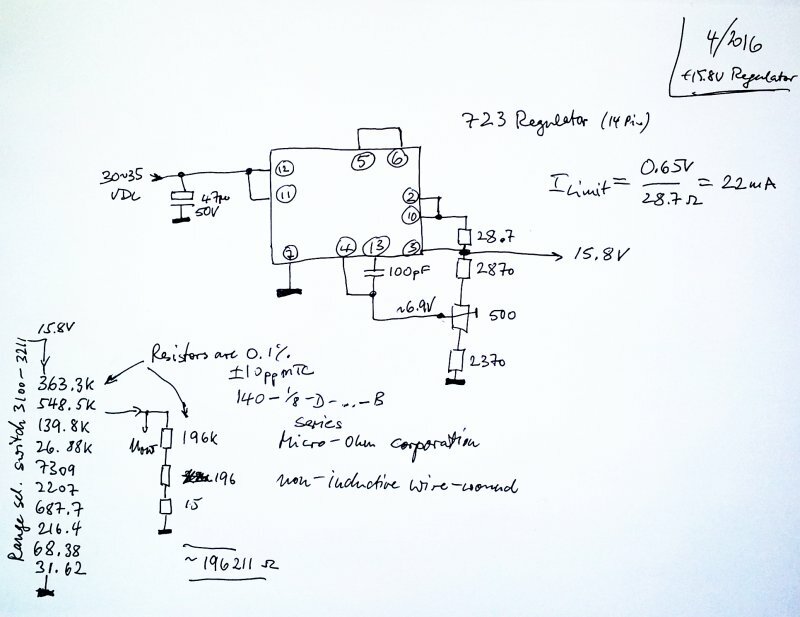 To figure this all out, a thorough calculation has been done, considering the FET input impedance, the resistive network, and the range switch. 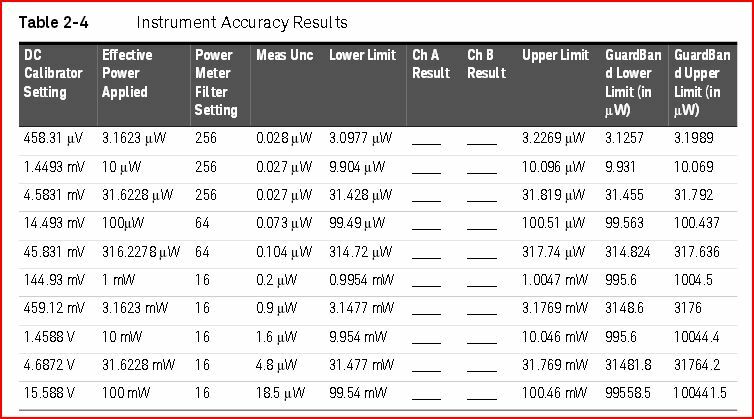 At the 10 mW and 100 mW ranges, calibrations applied in the 11683A (and the 43x series power meters) were determined to be different from the newer EPM-P meters – quite surprising. 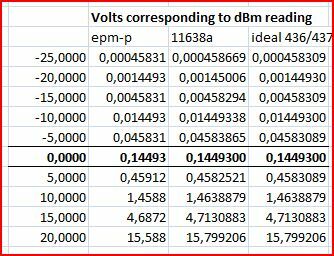 The reason for this difference of the older meters, to the new EPM-P meters is rather hard to guess, but thanks to a kind engineer at Keysight, we now know: the EPM-P meter reacts differently to the 11683A (because it measures in virtually one range), in contrast to the 43x series meters that have several ranges. 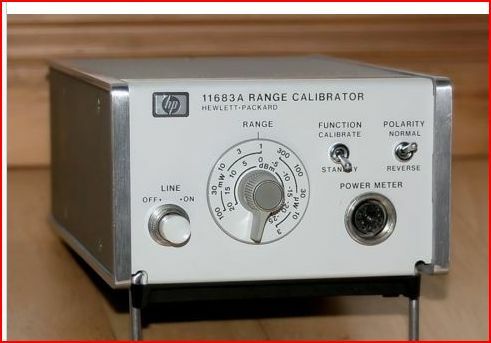 So, there is no difference in the actual power meter calibration, it is just a difference needed when considering using the 11683A for either 43x or EPM-P meters, because of the different response to the level calibration, but not actually different response to the power head when measuring actual RF power. This table has the voltages that should be provided to the calibrator, depending what you want to do – (1) calibrate a EPM-P meter, (2) calibrate a meter “simulating” the acutal 11638A range switch voltages, (3) calibrate an old 43x power meter, with corresponding scaling factors for 10 mW and 100 mW ranges. A quick scheme of the 11683A power supply, and the clear-written resistor values, which are not so clearly seen in some of the schematic copies. Now, how to get a 11683A range calibrator at reasonable cost? Turns out, you can build your own from one of the many defective 8481A that are around in most labs, and on xbay. Well, in fact, most “working” powerheads sold only for below USD 100 are dead anyway… but this is different story. These powerheads hardly ever have any issue with the copper and FET boards, but in most cases, the thermistor is dead, blown by too much input power. 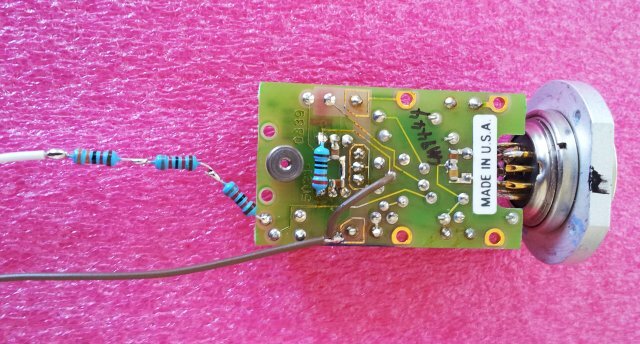 The modification – a wire has to be added to connect signal and guard ground (brown wire), and a 196 ohms resistor soldered over the FET input (I used a 220 ohm resistor for the test, but will replace one 196 ohm on hand). Also, you need to add a 196k resistor to the input, according to the 11638A schematic (this can be assembled from some other resistors, if no 196k in stock). Make sure not to bend the wires – this can affect the FET chopper balance (see 8481A or 11683A service manual to re-adjust if needed). The input is currently still arranged with open wires, but I will fit a 1n feedthrough cap soon – will modify the original N-connector (the golden part holding it). But this will need to be done back at the main workshop in Germany – need to use a lathe for it. Some test results will follow soon – but so far, everything is working just fine. HP 11708A 30 dB Reference Attenuator: less than 0.0005 dB drift per year? 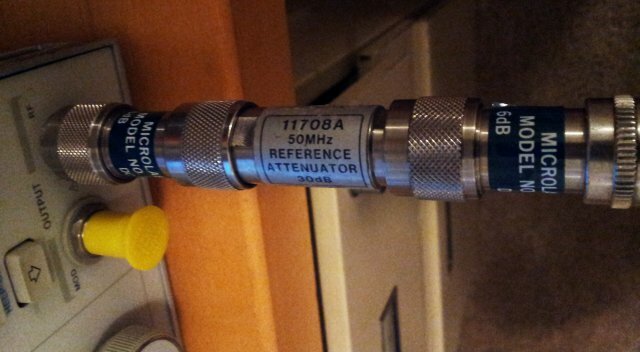 One of the products that have been in the HP/Agilent/Keysight catalog for 3 or 4 decades, or more, the 11708A reference attenuator. 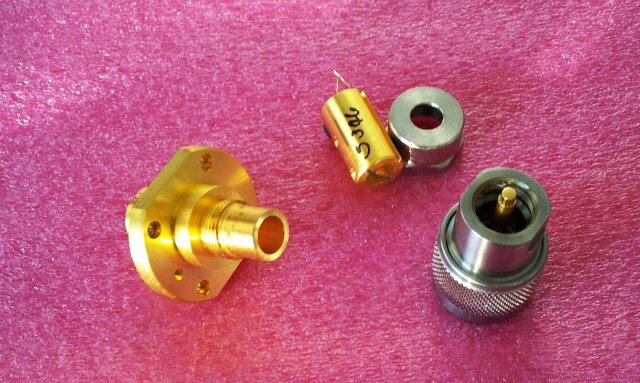 Specified at +-0.05 dB, it is a remarkably simple device – it just provides 1:1000 attenuation, chiefly, 30 dB. It’s main application is the calibration of 8484A power sensors, from a 1 mW source – the 8484A needs a 1 µW reference level. Unfortunately, it doesn’t come cheap, when ordered from Keysight today, at least for a hobbyist’s budget. So I got mine used, aged (30 years? ), and at a minor fraction of the cost. 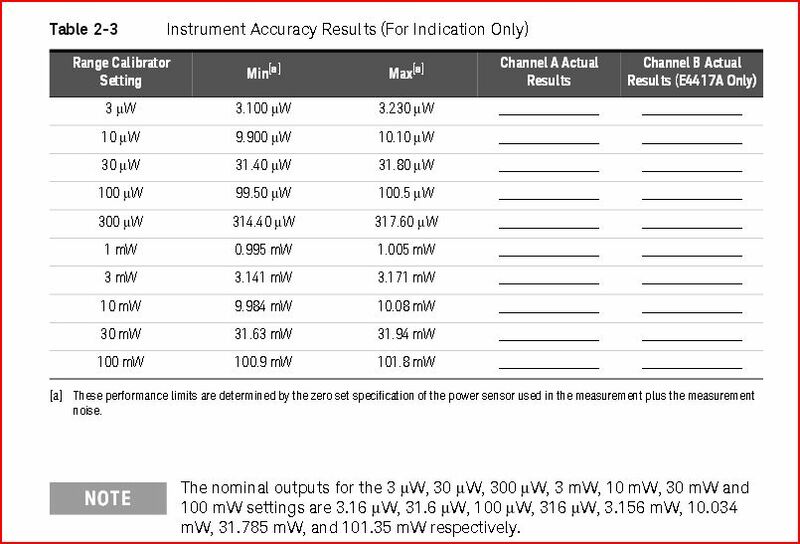 Before using it for a considerable number of power measurements, it is a good idea to confirm it’s performance. 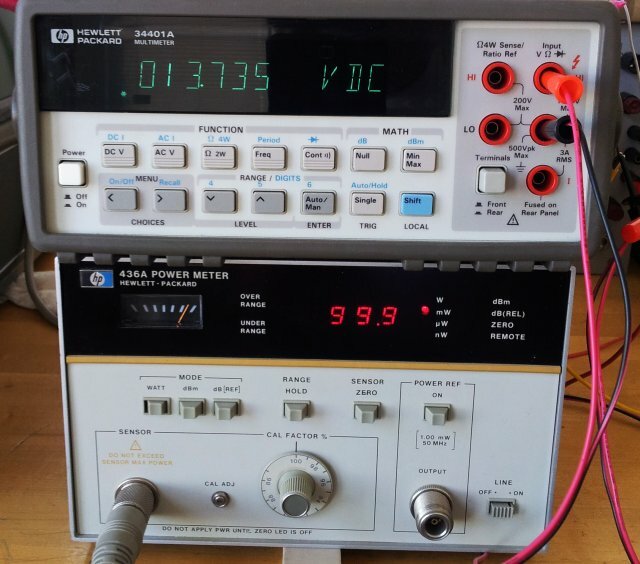 Measuring attenuation to +-0.05 or better is no easy tasks, but fortunately enough, a tractable one, with a 8642A signal generator, and a Micro-Tel 1295 precision attenuation measurement receiver. The Micro-Tel is specified to +-0.02 dB, plus +-0.02 dB for each 10 dB, say, +-0.08 dB. 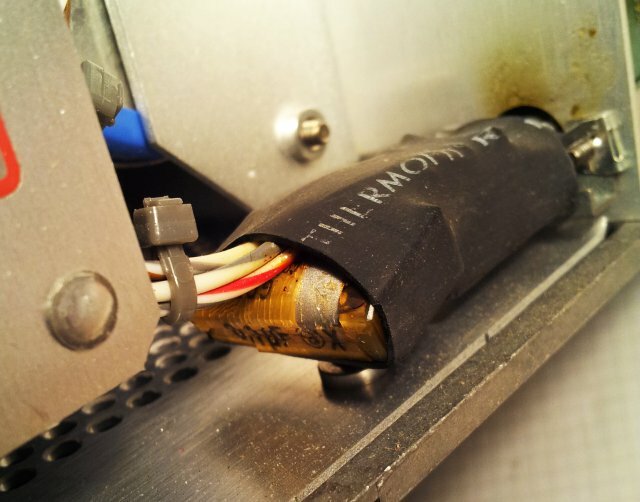 Actual performance, of a well-calibrated and well-heated-up unit is considerably better, but only in combination of other high quality components, like, a stable source (the 8642A has virtually no measurable drift), and, good test cables (using Suhner Sucoflex). The Micro-Tel 1295 employs IF substitution to determine attenuation, and the IF attenuator works in 10 dB steps. 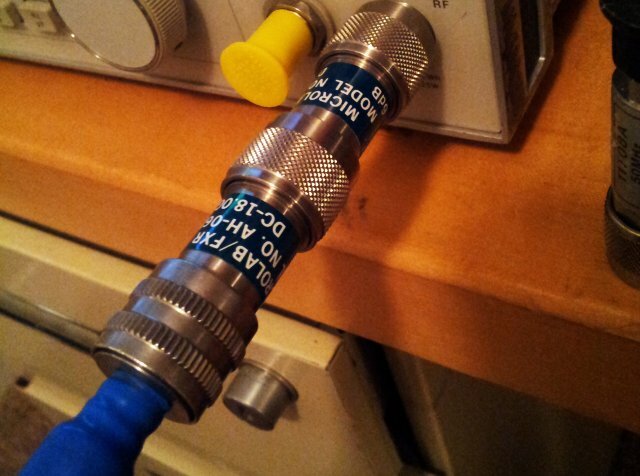 Therefore, for best accuracy, the tests should be done at various power levels, to use various combinations of x0 dB segments, of the IF attenuator. One thing to consider for the test – the input and output matching losses. Neiter the source nor the cable/receiver are perfect 50 Ohm terminations – but the 6 dB pads will ensure only very minor losses. Obviously, you need to use high quality pads here, specified to small return loss, 18 GHz parts preferred. Before the start – best to check reproducibility and repeatability. 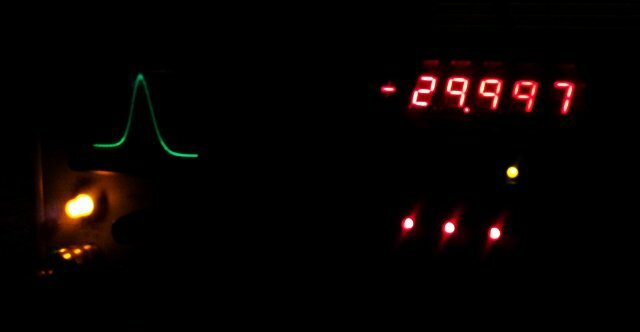 With good cables and hardware, +-0.005 to +0.01 is achievable with the current setup. Well, let’s say, chances are that the 11708A is +-0.02 off its nominal value, most likely, it didn’t drift at all over the last 30 years. A time interval counter – this little device, based on an Atmel AVR ATMega32L assigns 64 bit time-stamps to events (event being a rising edge on INT1 interrupt), based on a 10 MHz OCXO, a Trimble 65256 10 MHz double oven oscillator. So, 100 ns resolution. The main purpose: precise monitoring of pendulum clocks – in combination with a temperature-air pressure-real time clock data logger. Why TIC4 – well, there are several other (earlier designs), some with better resultion by interpolation (via a clock synchronizer and interpolation circuit). But for the given purpose, there is no need for any more than a few microseconds of resolution, because it is really hard to detect the zero-crossing of a mechnical pendulum to any better resolution. For test purposes, I had the circuit running on a 16 MHz clock, with ordinary (not very precise or phase locked) 20 Hz, and 2 Hz signals at the input – running overnight to check for any glitches. 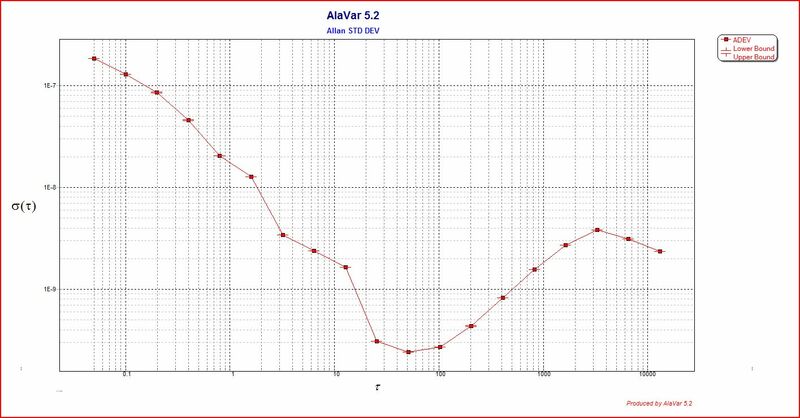 The Allen deviation plots show that for single events, the timing accuracy is about 150-200 ns, close to what is theoretically possible for a 16 MHz clock. The AVR program code, it looks simple, but believe me, it isn’t. There are quite a few pitfalls, because for any timing of the interrupt, there needs to be a precise time-stamp generated, and transmitted to the host. Maximum time stamp rate is 100 Hz nominal (1 timestamp every 10 ms), but will work up to about 150 Hz, without missing any events. Timestamps are transmitted with every 16 bit timer overflow, chiefly, every about 6.6 ms (65535 x 100ns). Each timestamp and control info is 120 bit long (12 bytes, 8N1 protocol, 57600 baud) – 2.1 ms.
For test purposes, the serial data is sent to a PC, via a MAX3232 TTL to RS232 converter. 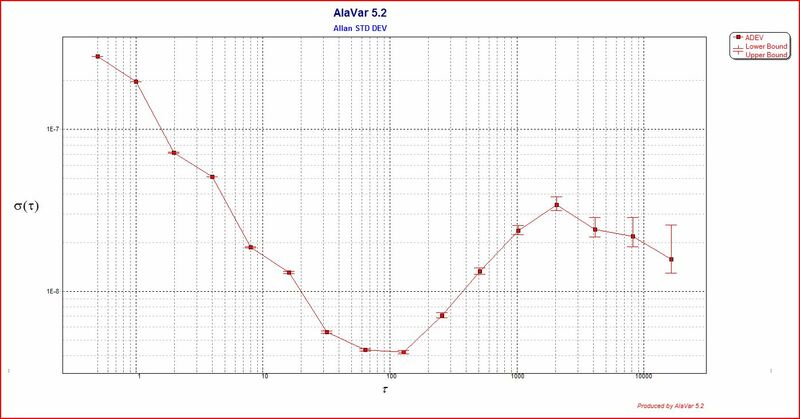 Alavar is used to process the information into Allan deviation plots. Test showed absolutely no glitch in about 1.3 million events – fair enough! This is a good, fast and simple wheat bread. Optimized for baking in gas-fired ovens. Add 1200 mL of warm water. Mix/knead. Let rise thoroughly. Knead again – add some flour as needed. 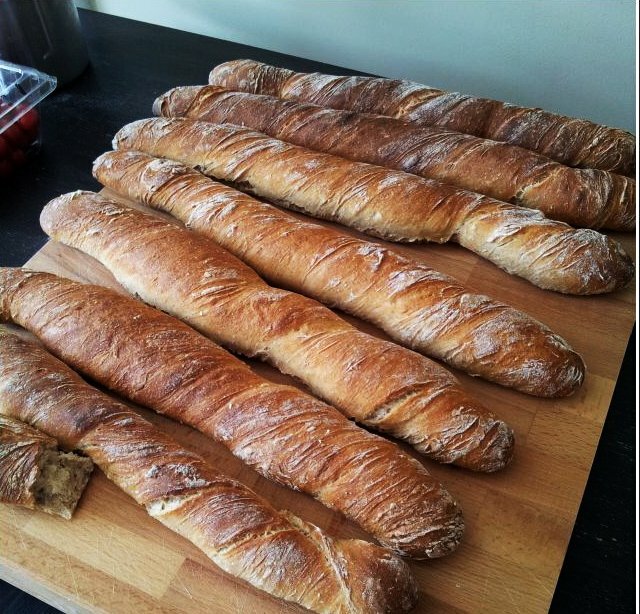 Form elongated shape breads. Let rise. Bake in pre-heated oven to 425 F. For best result, add water in tray at start of baking. 100 g Rosinen (abbrühen und durchsehen – schlechte aussortieren) unterkneten. 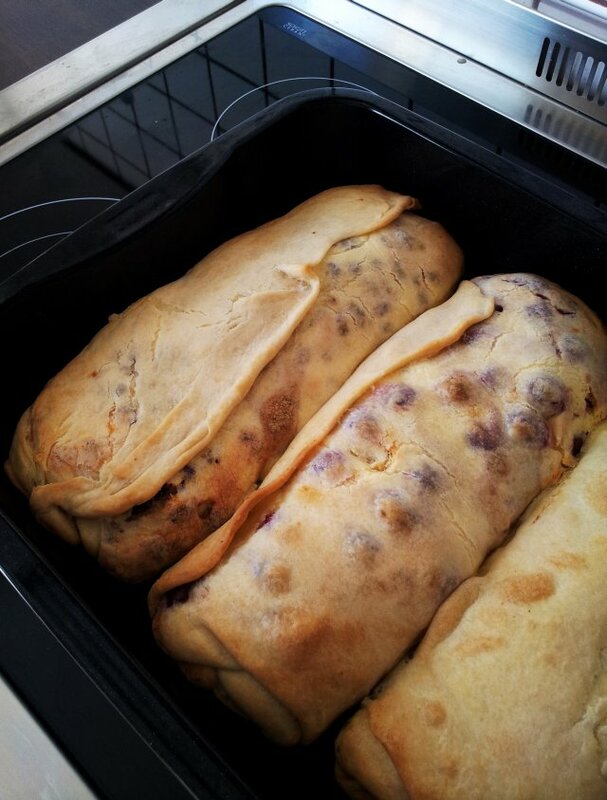 180 Grad Unter-/Oberhitze, 50 min backen – etwas in Form auskühlen lassen, dann stürzen. Puderzucker aufbringen wenn kalt. Fertig!! 400 g Mehl mit 1 Pck. Backpulver mischen und durchsieben. Zum Rest: 100 g geriebene Bitterschokolade und 40 g Kakao. Gründlich durchrühren. In Form etwas abkühlen lassen, dann stürzen. 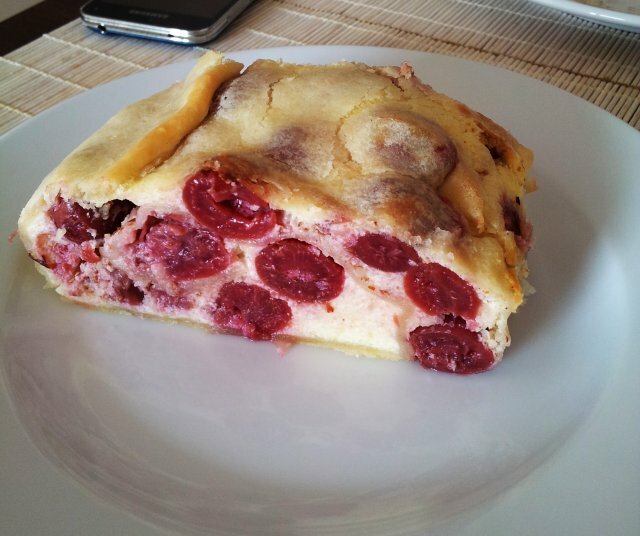 Puderzucker drauf oder Glasur (nach Geschmack). Fertig!! Alles gut mit Schneebesen durchrühren. 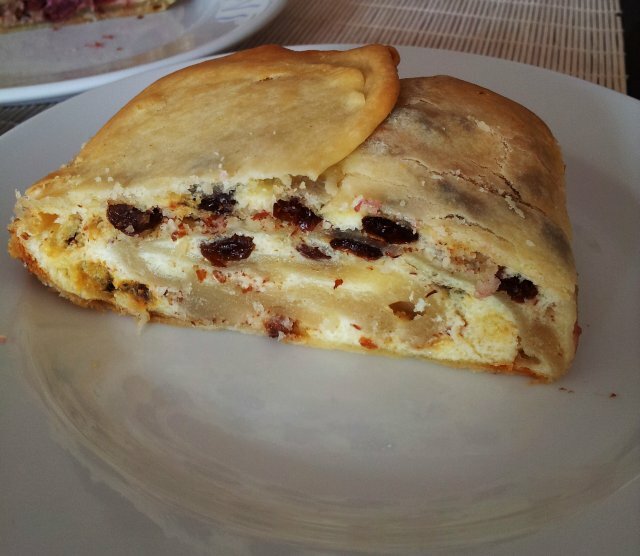 100 g geschmolzene Butter – Form gut ausstreichen, Strudel gut streichen. 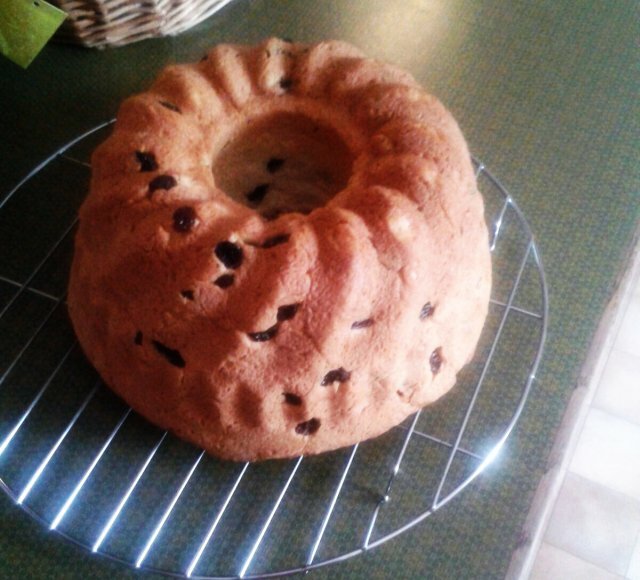 175 Grad Umluft, 45 Minuten backen. Fertig!! 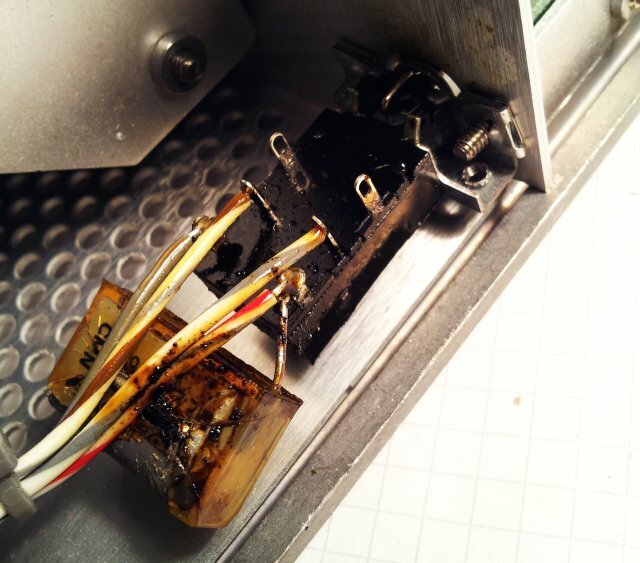 By coincidence, another HP 436A power meter – this one, emitting smoke and terrible stench! The culprit was easily found, a defective X-rated cap. 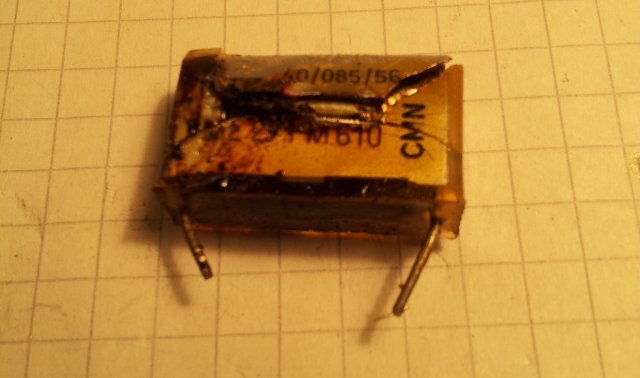 One of the known-bad epoxy covered capacitors that tend to blow after about 30 or 40 years of service. The residue, oily stuff, terrible smell. Use plenty isopropanol or methylated spirits to clean – otherwise, the stench will stay with the instrument for years, and I can’t say that it is a healthy smell. The cap is of the well-known PME271M series. Still available, but hopefully, with improved construction. 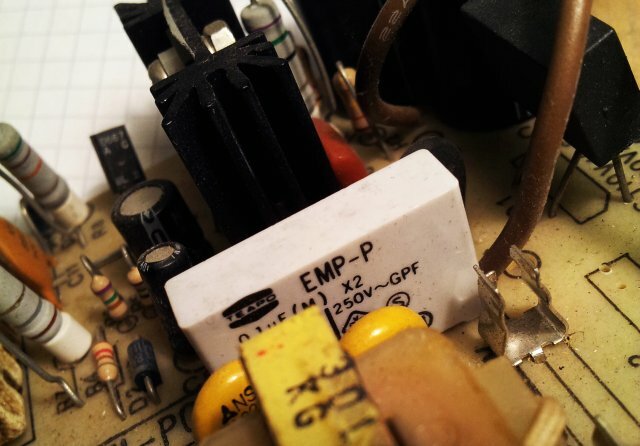 A replacement is easily found – taken from an old switchmode power supply. Make sure to take a “X2” cap, not an ordinary cap. Only X2 caps are specified for mains voltage service, and self-exinguishing, anything else will present a major fire hazard, don’t compromise on the choice of capacitor! Fix complete – new cap soldered in, and insulated with some electrical tape. 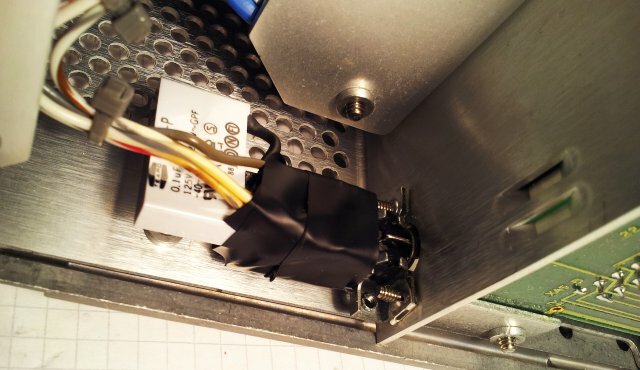 In general, I tend to avoid electrical tape where possible, but in this case, it appears to be the only viable solution.